Saying the dojo kun can be difficult for those who don’t speak Japanese. Ние ще преследваме истинския смисъл на Бойния път, така че след време нашите сетива да са нащрек. С истинска сила ние ще се стремим да възпитаваме духа на самоотверженост. През целия наш живот, с дисциплината на карате, ние ще се стремим да изпълним пътя на Киокушин. Don’t Argue. Logic and emotion are like oil and water; they don’t mix. Generally speaking, when we argue we become emotional and don’t think clearly. As our emotions become heightened, the likelihood of us saying or doing something that we might regret later increases dramatically. Also remember, winning an argument does little to win respect or friendship. Don’t Blame. When you point a finger at someone else, three fingers point back at you. Blaming others generally means that you are a reactive person; someone who is unwilling to be held accountable for their actions. Blaming others puts your emphasis and thought-process on problems, not solutions. Don’t Criticize. 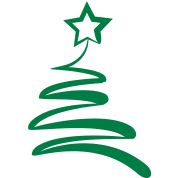 It is one thing to be constructively helpful and another to be unconstructively critical. The quickest way to kill morale is to criticize those on your team. Don’t Prejudge. Unfortunately, it is natural and very easy to get in the habit of prejudging people. However, it is a terrible habit to have. First off, it is a waste of energy. Every moment spent judging others is a moment not spent on believing yourself. Secondly, when you prejudge others, you’re probably wrong as often as you are right. Therefore, you are going to miss out on a lot of potentially great relationships. Don’t Be Sarcastic. Although being cleverly sarcastic is often a sign of intelligence, it rarely serves any positive function. More often, sarcasm only demoralizes and belittles the person it was directed towards. Remember, “Please,” “Thank You,” and “May I,” said sarcastically, are no longer the magic words. Don’t Be Too Friendly. The Instructor/Student relationship is a special thing. Of course an Instructor should be friendly with their students. Becoming a friend, however, can very easily corrupt the relationship. There is a certain distance that should be kept which will serve the interest of sides. Don’t Be Too Physical. There are several different aspects of being physical that a Professional Martial Artist wants to avoid. First off, make sure that your classes aren’t too physically demanding, especially at the beginner level. Secondly, make sure that students are paired off appropriately with physicality in mind (size, skill, intensity, etc.). Finally, no pats on the bum, inappropriate hugs, etc. Body contact between instructor and students should be kept to a minimum (such as high fives and handshakes). Don’t Humiliate. The absolute quickest way to create resentment and friction is to humiliate someone, especially if it is done in public. Usually the only person that you should make the brunt of your jokes is yourself. People that enjoy humiliating others usually have a low self-image and try to make themselves feel bigger by knocking others down. Don’t Take All The Credit. Nothing is more frustrating that when a team works hard and has some great success, only to have one person say, “I did it.” Build your team by giving as much credit as possible to those around you. Please do not take this as a feminist speech! Read words as they are. Recent months have been filled with so much emotion around large international tournaments. 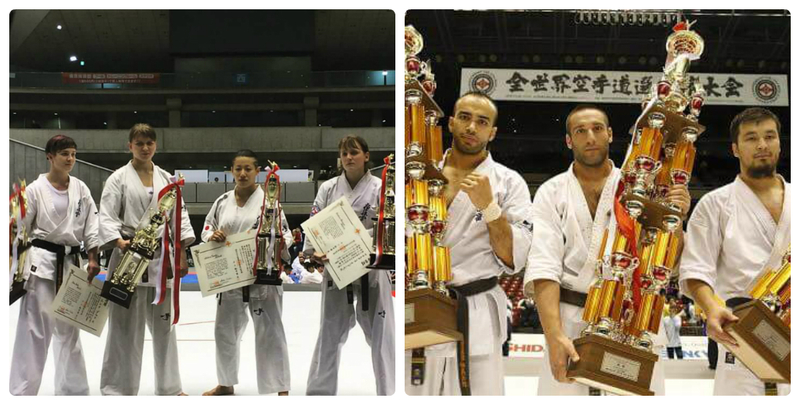 The Kyokushin Women page paid attention to a difference in the size of the trophy for men and women. This has been the way for a long time, but recently the new *Canadian Prime Minister said: “Because it’s 2015” so I do not want to remain silent. No matter if you like women when they fight or not, or you approve of women training karate, please, respect each one of us, respect the work that we do. Autumn time has come upon us and my favourite part of the year, the start of the Kyokushin Knockdown tournament season. 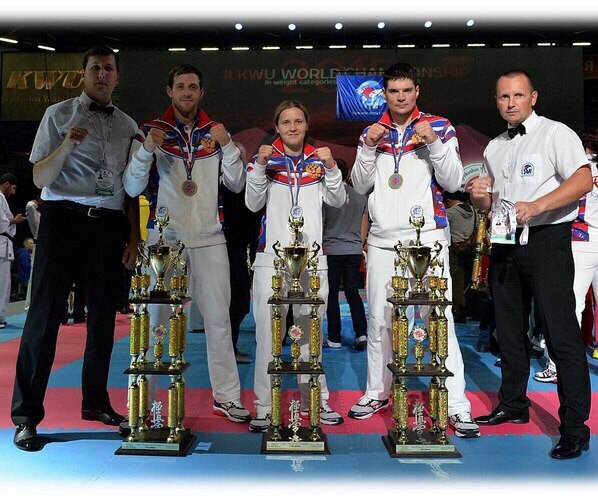 This year like every 4 years was special, as the KWU world tournament, ShinKyokyushin world championships and the IKO world championships were all being held in the space of a few short weeks. This gives me an opportunity to watch some of my favourite exciting fighters in action such as Valeri Dimitrov, Artem Nazaratyean, Goderzi Kapanadze, Aelita Alekseeva, Maria Lepina, Emi Shoguchi, Csenge Szesepi, Uliana Grebenschikova and Elena Gulko to name a few. I was extremely disappointed to see the Ladies not being treated the same in some of these competitions, with less prize money and smaller trophies compared to the male competitors. 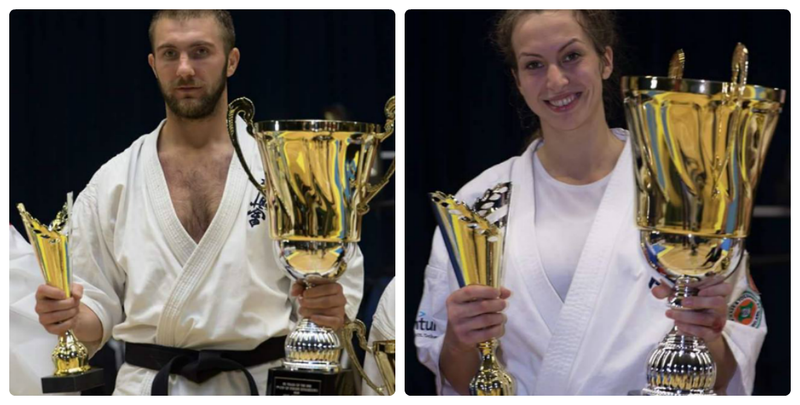 I was glad to see the KWU world championships treating both males and females the same with same size trophies but I am sad to see this not the case for one or two other competitions this season. I see Kyokushin Women as equal to the Male Karateka as we fight under the same rules, fight the same rounds and complete the same training. There are incredible female fighters who have paved the way for all current and aspiring fighters to look up to. These include Margarita Ciuplyte, Misaki Sato and Veronica Szvotes who’s accolades and talent are something to be aspired too by both genders. As a competitor and a fan. I know how hard both men and women work and there is no difference. We put in the same hours, work the same in training and work just as hard as the male competitors. 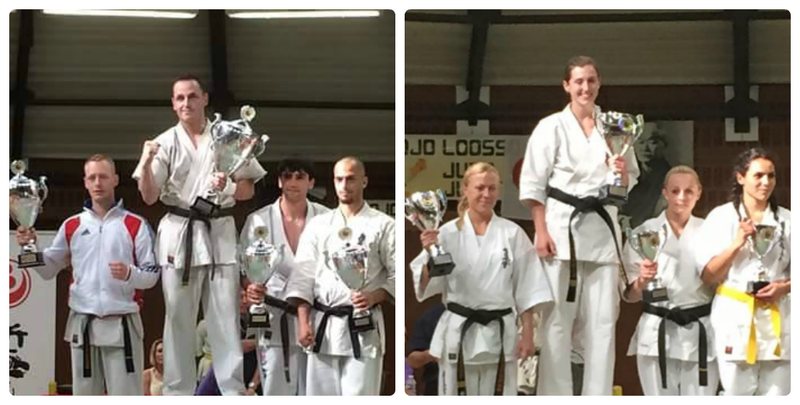 Whilst away last weekend fighting in France, I was stunned to find myself in a position where the trophies for the winners of the women’s categories were smaller than the men’s. A first place ladies trophy was actually smaller than a third place men’s one. “What’s this about?” I asked myself. Ladies fighting in karate competitions has been the norm for years now. How could one person take away a smaller trophy for a higher achievement than another simply because one is female and one is male? I’ve been really lucky in my fighting career not to have come across too many scenarios like this. Of course, I’ve previously overheard comments akin to ‘oh the women are fighting now, lets go and get a drink.’ And now I come to think of it, why did I let those comments wash over me, rather than making my point? After this weekend I felt compelled to spend a little time thinking about where we are in terms of sexism in sport, and also sexism in the health and fitness sector in general. A simple Google search of ‘sexism in health and fitness’ returns so many pages that I didn’t know where to start. Why would I ever expect less of my female clients than male ones? I wouldn’t. But similarly – I wouldn’t expect more of them either. I’d expect the same. Physical strength has little to do with it. Yes, as we all know, there are biological differences between men and women. But the traits that make up a fit, healthy individual, things like determination, desire, focus, finding pleasure in healthy foods and working out, are traits that everyone can find and nurture across the board. Afterall, I’m a personal trainer and I like to train men and women. 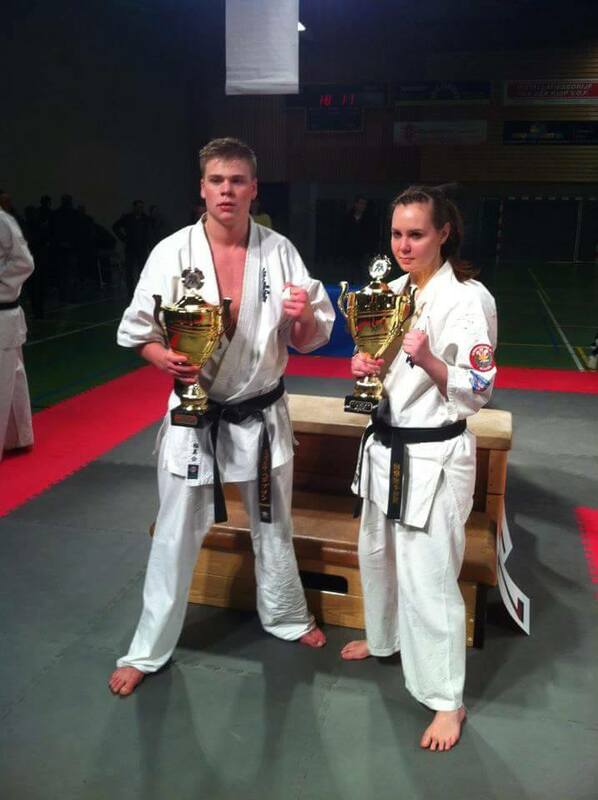 I’m a karateka and I like to train with men and women. I’m also a fighter and I like to watch men and women fight. It’s that simple. People are people, end of story. If you read this, thank you for that 🙂 Osu! TAMESHIWARI (breaking) cannot be separated from Karate as a whole. 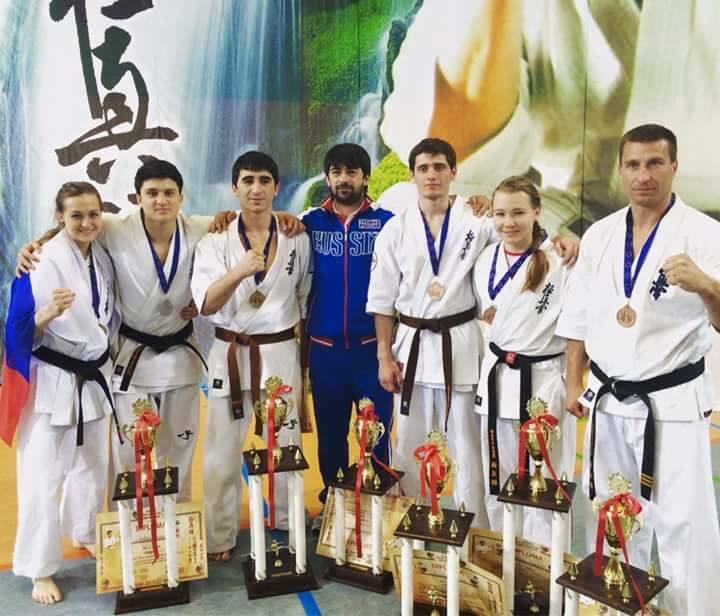 When speaking of Karate, people generally associate Karate with Tameshiwari, believing that the value of Karate exists in Tameshi­wari skill and expertise. However, actually Karate’s true value exists in technique, the arts, and spirit, not in Tameshiwari. Breaking is only a part of Karate and the biggest error is to set a high value on it. 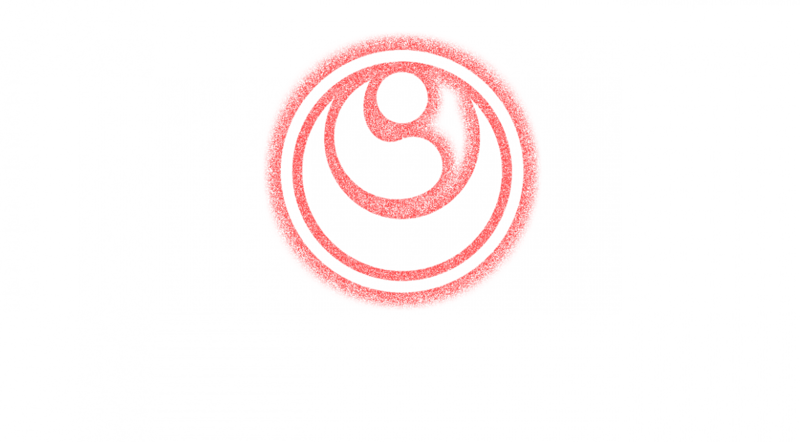 In keeping with this, Karate-Ka must not give a wrong impression of Kara­te by centering too much on it. I have travelled extensively throughout the world and many times I have felt quite strongly that there is too much emphasis place on Tameshiwari, and that therefore the misconceptions that Karate skill is in breaking things is too widely accepted. This is particularly so in USA where the word “Karate” immediately conjures up the now famous “Karate Chop”. I cannot stress strongly enough that Tameshiwari is merely a part of Karate, not the whole of it. 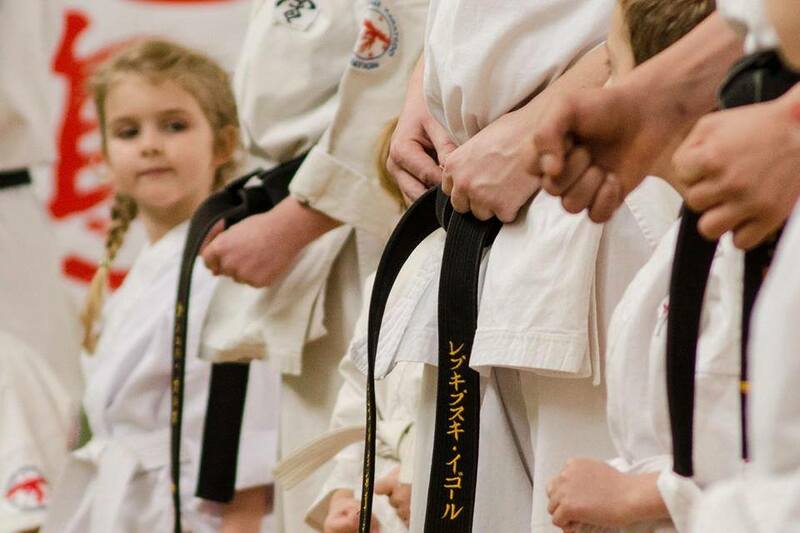 The essential idea and spirit of Karate is to develop and complete ones personality, ones body, skill, mind and spirit. Tameshiwari is only one element used in seeking and completing the perfecting of these skills. 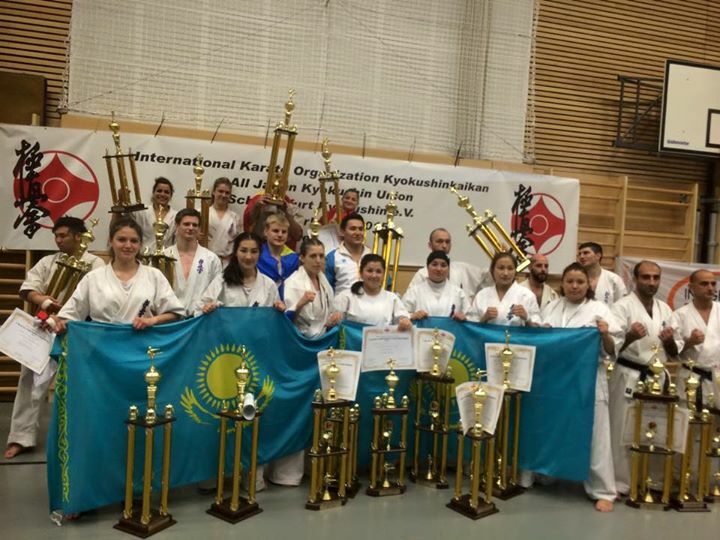 However, when considering the Karate boom around the world, I am forced to admit that Tameshiwari has played a large part in making Karate popular, as Tameshiwari generally seems very attractive to people. When the Korean War broke out in 1950, a Karate exhibition was held to which many foreign personal of the Armed Forces were invited. They were not at all interested in Kata and Kumite demonstrations but when Tameshiwari was performed, the hall became as quite as still water. They were fascinated by the per­formances, and thunder this applause arose over the hall. There was a similar reaction in USA when I visi­ted 32 of that country’s States between the March and November of 1952. Kata, Kumite and Kihon, were also not welcomed. But, as soon as Tameshiwari began, even a noisy crowd of thousands were silenced in amazement, and later gave a thunderous applause. However, regardless of Tameshiwari popularity, true Karate has not progressed greatly because of the impossibility of holding satisfactory fighting matches. 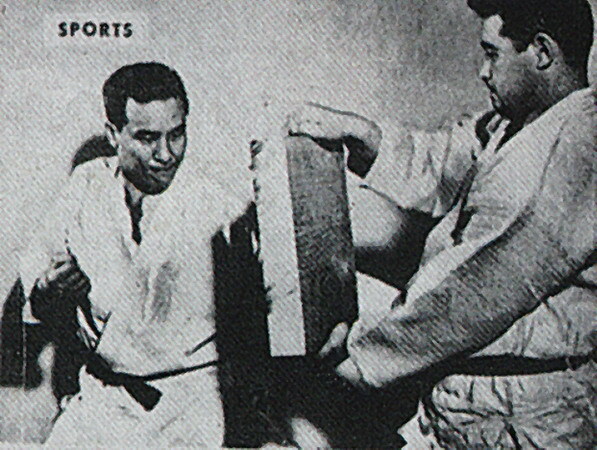 No Martial Arts can properly develop without fight­ing matches. In the past all Martial Arts have develo­ped and progressed by means of fighting, whether in true battle or merely by competition. However, Karate has no true match and has thus been slow to truly develop in a unified way. 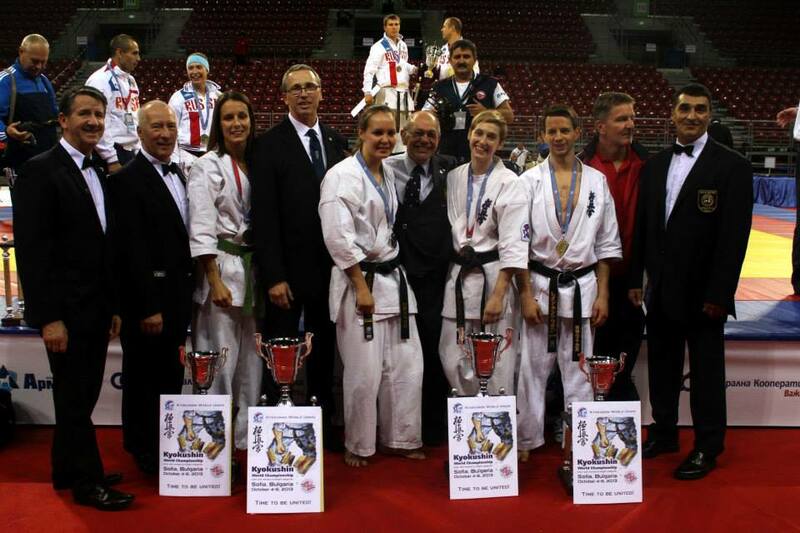 Kata and Kumite without true battle or merely by competitions. However, Ka­rate has no true match and has thus been slow to truly developing in a unified way. Kata and Kumite without true fighting conditions is merely a sort of dance or physical exercise; it loses its Martial aspect styles that do not advocate full contact, it must be nearly impossible. A Karate-Ka with speed does not always have strong power and grip, the Karate-Ka with strength does not always have speed, and the Karate-Ka with both is a rarity indeed. For this reason, it is difficult to judge matches without contact. 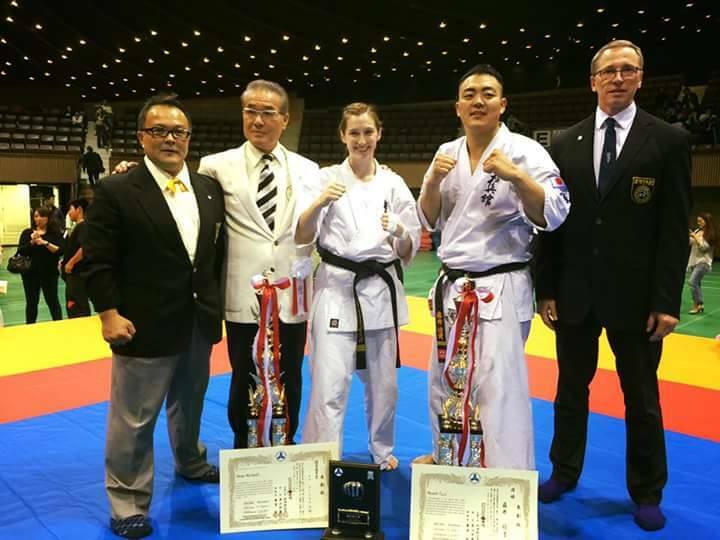 Judo can be judged by a fall, and Boxing by a knockout, but non-contact Karate has no such exact standard of judgment, matches usually being decided on superiority or inferiority. I believe this obscure judgment prevents Karate from develop­ment. This is why contact and Tameshiwari have been entered in Kyokushinkaikan tournaments as a mea­sure of ability. 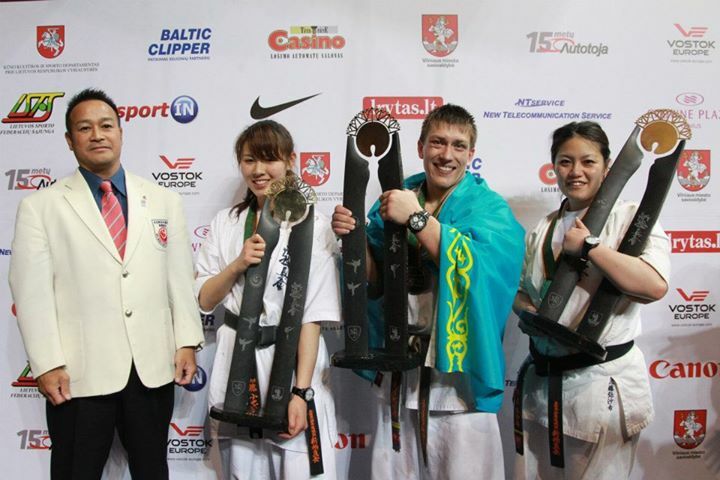 It is true that tameshiwari is a part of Karate, it is a barometer for Karate-Ka to judge abi­lity. A true Karate-Ka-should have three things; spirit, body and arts perfectly harmonious, and I look up to any Karate-Ka with such abilities. Of course man is not God. However, I consider it man’s duty to engage in Martial Arts in order to make an effort to approach God. It is true indeed that man has sordid habits, but I think the value of man’s exis­tence is in the efforts and studies he makes to accom­plish his “way”. 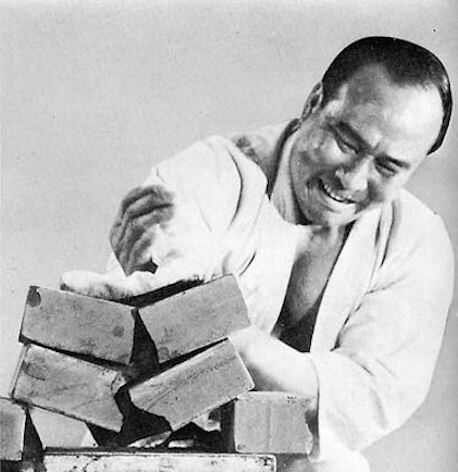 Recently there have been many Championships in Karate, however, if a Champion could not break three 2 inch boards I would laugh at him. I claim that any Champion must have enough ability to kill a bull with a single blow. If he cannot do so, it would be doubt­ful if his punch is effective regardless of what ability he has to perform Kata and Kumite beautifully. 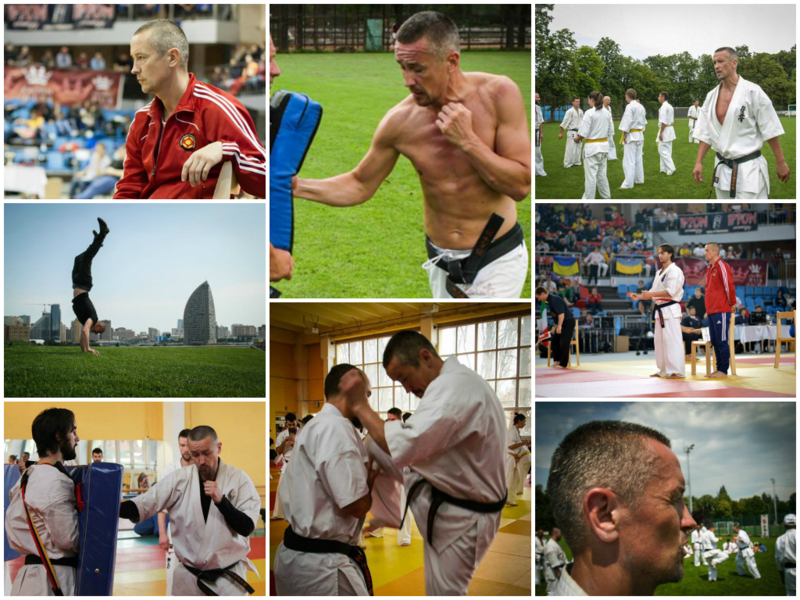 A Karate-Ka must have more than just beautiful Kata and Kumite – he must have power. Speaking of Tameshiwari, there are more than 30 kinds, divided roughly into several divisions. Kumite and Tameshiwari are two sides of a coin, or the front and back covers of a book. Supposing that Kihon, Kumite and Kata are the parents, then Tameshiwari is the child. It is as incorrect for a Karate-Ka to get caught in Kumite, Kihon and Kata and to neglect Tameshiwari as it is to neglect all in favour of Tameshiwari. I should like to tell our readers that, Kihon, Ku- mite and Kata make 7 points out of a possible ten, Tameshiwari make ‘up the remaining three, and that all Karate-Ka should have all 4 abilities, plus spirit. Usually I post my collages as “Quotes of the Week”, but not today! Today I want to share with you the words of Sensei Harris Wallmen – If you have never read his words, you are really missing something. If I call him “Wise”, he replies: “No, I’m stupid”. If I call him Sensei, he replies: “No, Harris, please”. Funny thing is that in Kyokushin people still think you have to beat or knock your opponent down in order to win. No. You just have to be better than him at this game. Competition is a sport not a street fight. From my point of view, writing about Valeri is writing about Budo. Regarding every aspect that I understand of the way of the warrior. So, this short text is easy to write in a way, because I am not actually talking about Valeri, but about Budo. 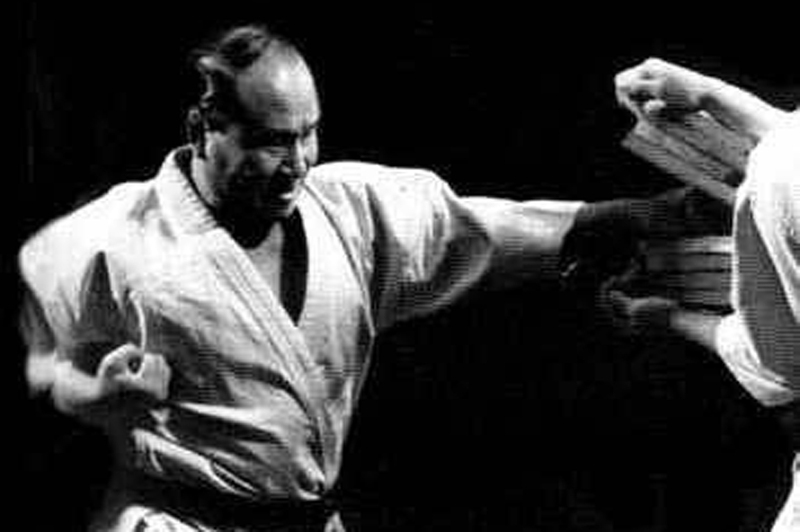 On the other hand, it is very difficult, because Budo (the martial way) is so deep, and so is Valeri. I have never seen him angry. This worries me sometimes. I am joking. It was only once, at the last World Tournament, when he looked tired and worried. He was under so much pressure from everybody that I think he forgot for a moment about his true nature. But it was love that made him react like this. He did not want to disappoint his teachers, his teammates, his friends, and his fans. But reality has sometimes a funny way of waking you up. And it did exactly this with Valeri. After not winning the World Tournament, he changed. He become so much stronger, and I don’t mean physically, but mentally. He become one, he closed the circle. At the next competition when we talked, the World Cup from Lithuania, I asked him before the tournament if he was nervous. His answer was so good: “It’s just a competition.” He won first place. He finally understood the value of being in the present, to enjoy everything without judgment, without expectations. Going over what I wrote I realize two things: I could only touch the surface in trying to describe Valeri, my friend, but, like Budo, it takes lots of practice and dedication to understand and to feel more. And secondly, it looks like a love letter. Osu! For about three days I had the chance to spend some time with sensei Norichika Tsukamoto in our summer camp. For me, he was always a kind of a mystery. Sometimes I was truly amazed at his innovations, sometimes he made me laugh and sometimes he was confusing. Towards the end of the camp I was about to receive one of the biggest physical, cultural and spiritual shocks of my life. I guess that watching his career from a distance, everybody wondered about his secret. How does he execute his amazing techniques, how can he be so efficient with very little effort seemingly? So we started with technical questions. And he answered with the greatest kindness and benevolence. And we trained, and it was really great. But this was not nearly enough. Somehow we felt that we are only scratching the surface of a huge volcano. So we tried more. So we started asking more questions. And we found out he emerges from a line of artists, his mother teaches katana, his grandfather was a sculptor. Himself, when he was a child, he never wanted to become a karateka, but a painter. And it came like a thunder: he became a painter, but his paintbrush was his karate techniques and his canvas was the tatami, his force inspiration and improvisation. But this was still not enough to explain his strength, his endurance, and his will.